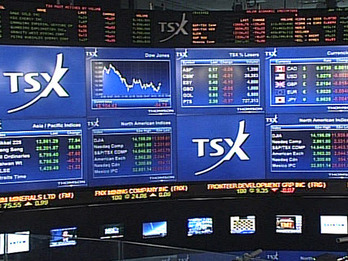 TSX60 Behavior : A Buyback Index ? Index as shown by the chart below. The TSX is still within a downtrend channel that started back in April 2015 and in a dead cat bounce from oversold condition on a short term basis Mainly because of my TSX Trendicator was getting below the 3.0 level..​​ ​( See Chart - Channel​​ ). But the most interesting technical factor is that​​ we are testing a Major Trendline on a Monthly basis that started back in March 2009 on the TSX. ( See Chart Below - Thick Amber Line ).